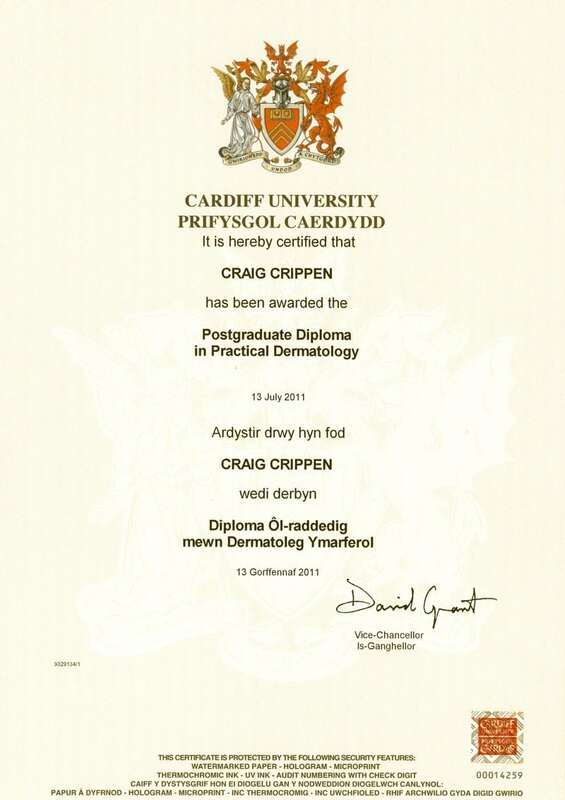 Dr. Crippen’s Diploma in Dermatology has arrived. You can view it here on his bio page. This diploma is a very intense year of learning from one of the top Dermatology schools in North America and Western Europe. This program trains physicians from all over the world in the art and science of Dermatology. Dr. Crippen accepts dermatology referrals from family doctors who wish another opinion about a skin related condition.